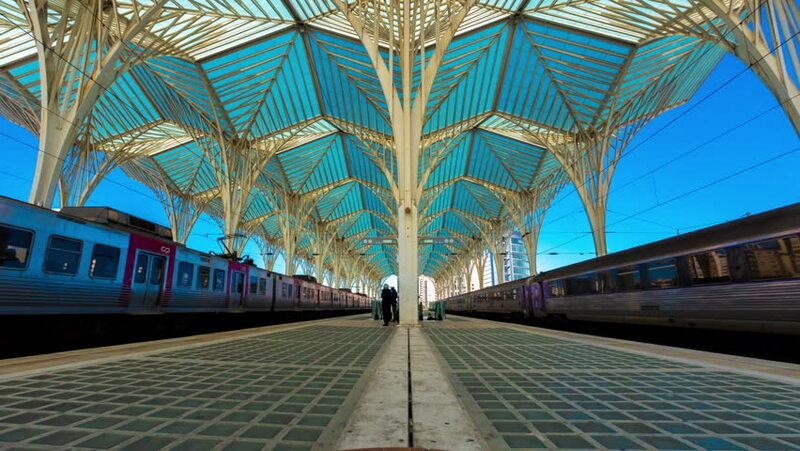 LISBON, PORTUGAL - CIRCA JANUARY 2018: Time-lapse view on Oriente Railway Station interior circa January 2018 in Lisbon, Portugal. 4k00:15LISBON, PORTUGAL - CIRCA JANUARY 2018: Time-lapse view on Oriente Railway Station interior circa January 2018 in Lisbon, Portugal. hd00:10CHIANGMAI , THAILAND - January 1, 2019: Footage train railway station at Chiangmai, Thailand. hd00:17ST PETERSBURG - JUNE 20: (Timelapse view) Commuters enter and exit a subway train at station Obvodny Kanal, June 20, 2011, St. Petersburg, Russia. The Saint Petersburg Metro is the deepest subway system in the world.